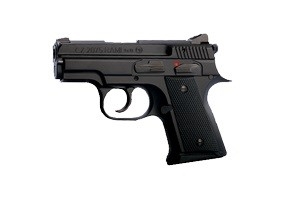 The CZ 2075 RAMI is a sub-compact semi-automatic based on the proven CZ 75 line of pistols. Just like the 75, the RAMI is double action/single action, allowing it to be carried in different conditions depending on the shooter’s preferences. Several safety devices are used including a firing pin block and a manual safety. 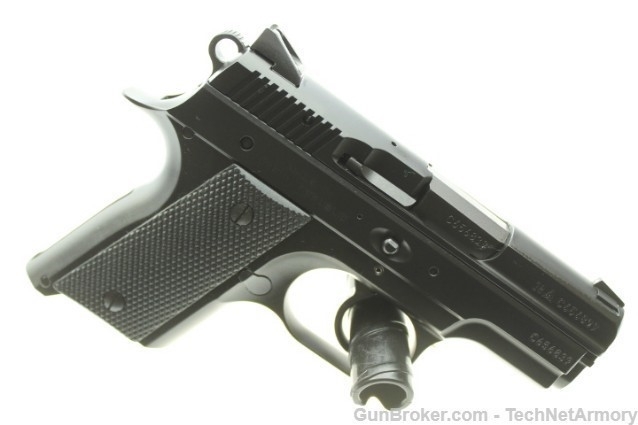 Incorporating the CZ double-stack magazine design, the little RAMI ships with a 10 round flush-mount magazine and 14 round extended magazine in the 9mm Luger version, or 7 and 9 round magazines in .40 S&W. With a 3” barrel and an unloaded weight of less than 26 ounces, the black polycoat, alloy-framed RAMI is ideal for concealed carry. EAA Witness Xtreme Limited 9MM 610310 EAA Witness Stock III Xtreme 9MM 610595 Walther PPS M2 LE Edition 9MM 2807696 3-Mags CZ RAMI 2075 BD Tritium Night Sights 9MM 91754 SALE!